Shark netting programs are highly impactful on a number of marine species, the reduction of neeting effort will reduce the negative impacts caused by these devices. A number of KZN beaches reviewed showed figures that brought the justification of net installations into question. Due to resource limitations only one beach was identified as the focal point of the campaign - Rocky Bay beach at Park Rynie on the lower south coast of Durban. A preliminary meeting in early 2008 with Umdoni beach manager Mr. Melvin Patchai revealed that bather attendance at Rocky Bay was a mere 5% of that of Scottburgh beach 8km’s north. In addition Sharks Board catch statistics from 1979 – 2005 indicated that on average <1 Zambezi shark, 2.5 Tiger sharks and <1 Great White shark are caught annually at Rocky Bay. Lastly, Rocky Bay beach is enclosed by significant rocky outcrops on both sides of the bathing beach, which forms a natural barrier limiting inshore shark movements, reducing the risk of a shark/bather incident even further. All three of the components examined at Rocky Bay beach indicated the risk of shark attack was low. In addition the nets had an 80% bycatch of harmless animals which inhabit the boundaries of the Aliwal Shoal Marine Protected Area (MPA). 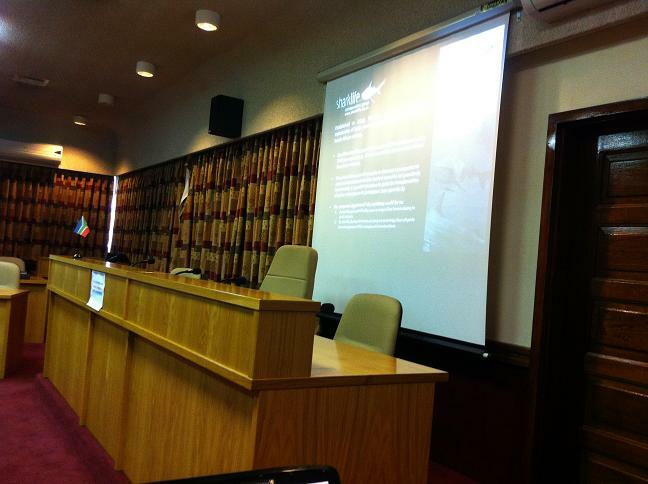 Sharklife believed there was enough information to motivate the Umdoni Council to remove the nets at Rocky Bay. 1. Would you visit this beach if it had no shark nets? 82% said yes. 2. Would you visit this beach if there was a shark attack? 70% said yes. With the results from the survey Sharklife had more than enough documentation to question the use of nets at Rocky Bay beach. On the 27th of November 2008 Sharklife formally requested an opportunity to present the findings to the Umdoni Municipality. After a number of follow up mails we received a response from Mr. Melvin Patchai informing us the council would get back to us with a suitable date for a meeting. This never occurred and the campaign was put on hold. It was the unprecedented capture of 14 Tiger Sharks on the 18th April 2012 at Scottburgh beach that brought the nets back into question. Renewed calls for the justification of shark nets within the MPA came from a number of concerned groups and individuals. A notable demonstration was the Paddle Out for Sharks initiative arranged by Cormac McCreesh from African Diver Magazine. This prompted the Umdoni Municipality to investigate the matter further. The Portfolio Committee took the Sharklife presentations under review and concluded its recommendation to Council on the 27th March 2013. On the 19th April we received the following confirmation from Mr. Melvin Patchai the Umdoni Beach Manager. There was no discussion regarding the shark nets at the Scottburgh Main Beach, the status quo remain. Our Legal and Estates department is dealing with the Sharks Board regarding Rocky Bay. Confirmation was received on 18th March 2014 that the shark culling devices are to be removed from Rocky Bay beach on the morning 30th April 2014. Sharklife would like to thank all its members and supporters for the contributions and backing received to see this campaign to this success.